Built for long lasting work, this MasterStep® ladder has two steps, features an A5 Solid Tread type, and has right handrails. 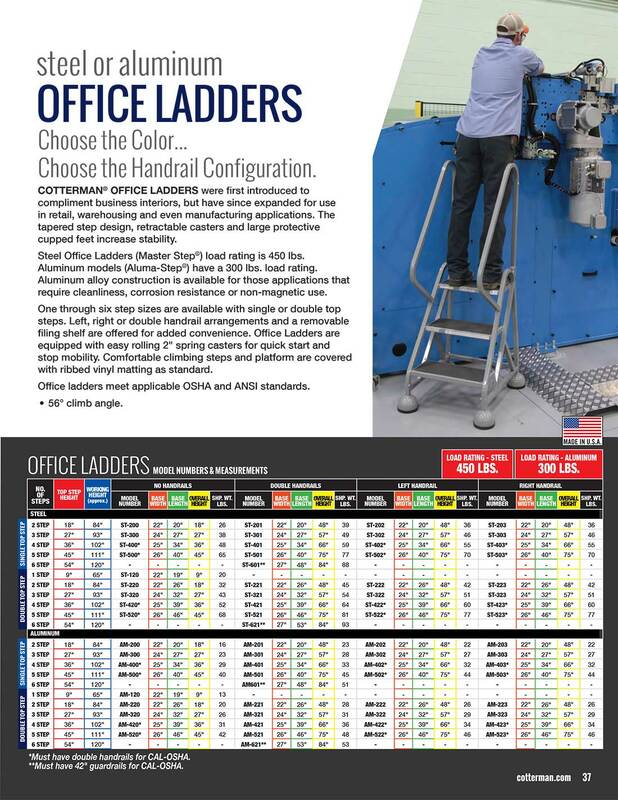 This is the ideal ladder for your warehouse or office, allowing easily accessibility and use for all projects. MasterStep® ladders are designed with corrosion resistance, making this ladder one of the best! The climbing steps and top platforms are covered with rubber matting for increased safety and grip.